I'm Back! Sorry for the week-long absence. We were out of town for Christmas. And not just out of town. Out of town with a SICK child. Ugh! Needless to say, our Christmas was a bit a lacking in the "Merry" department. We're all pretty much healthy now though. Yay! 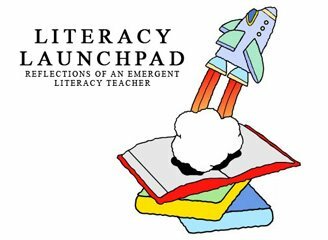 And with it being New Year's Eve and all, I feeling a bit nostalgic about the past decade and all that has happened to bring Literacy Launchpad about. Back at the start of 2000, I was just beginning college. 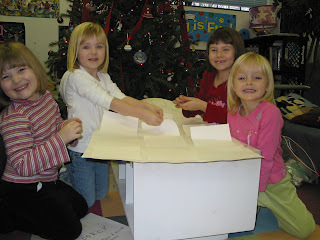 I had dreams of being an early childhood educator, and so I chose Early Childhood Education as my major. The 4 year college I chose to attend had a somewhat stringent application process for getting into their Early Childhood program. I worked hard to be accepted into one of the limited openings they had in the program. BUT... shortly after being accepted, I discovered that I would be moving. See, my husband and I got married while I was midway through college. An unexpected job loss (the week before our wedding) led to an unexpected move (a couple months after our wedding). We ended up in Nashville Tennessee. I had to take a semester off, because we moved right at the start of the fall semester. 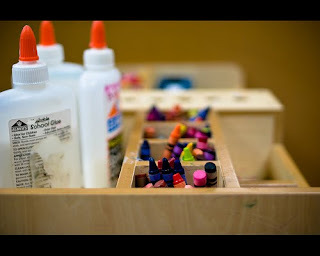 I worked at a child care facility while I waited to begin school again. A totally new, and pretty shocking, experience for me. 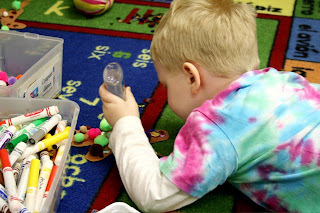 I had worked in preschools, but never in a day care. It was so different. I didn't like it for a long time. The spring semester was gearing up to begin and at orientation I made the shocking discovery that my credits all transferred as electives!! I would have to be in school for another 4 years in order to finish my Early Childhood degree. WHAT?? My salary potential in this field certainly did not justify spending as much time in school as a doctor. What was I going to do? My husband and I thought and prayed on it quite a bit (as much as we could before the semester would begin and I had to choose my classes). 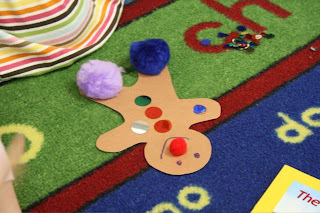 In the meantime I was still working at the child care place. 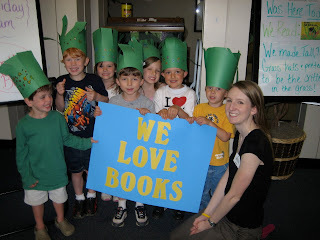 I was feeling sad about the lack of good books in the classrooms, and I was fascinated by these enrichment programs that came into the centers once a week (music, computers, gymnastics). Man, I thought, a literacy program at a place like this would be perfect! I learned of a degree option (Bachelor's of Science, majoring in Liberal Arts) that basically let me customize my own degree. 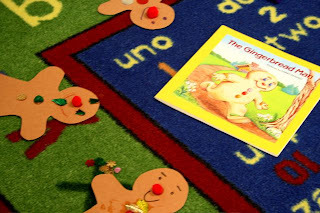 My wheels began turning, and I wondered if there would be a way to combine my passion for Early Childhood Education with my love of children's books. I thought about those enrichment programs and wondered if I could pull off a literacy program somehow. So I sat down and talked with my advisor about it. She told me I could do a Liberal Arts degree and have my emphasis be in Elementary Education (due to the credit hours I already had specific to this area), and Children's Literacy/Literature. And I could finish in two years (with some summer classes)!! I was SO excited. My last couple years of school were so fun! The classes I got to take were awesome: Library Media, Storytelling, Children's Literature in Film, Folktales, etc. It was so cool! All my classes fueled my desire to create this literacy program, and filled me tons of killer ideas for it. AND for my senior project I got to do a trial run of Literacy Launchpad at the child care center! Heaven! Upon graduating, I took some time off from working at the child care center with all the teachers and students I had become so attached to. I focused on launching Literacy Launchpad for a few months, and then worked doing both! 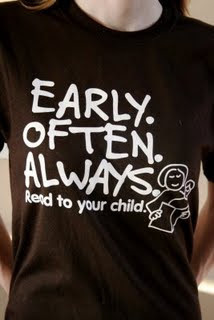 For the first few years of Literacy Launchpad I was teaching in 5 child care centers. After having my son, I have cut down to only one center so I can be at home with him. But I have big plans in the works for my little Literacy Launchpad. Thank you all for being a part of it! I feel like God planted a seed and helped it bud. I'm so excited to see Literacy Launchpad grow and flourish in the next ten years! 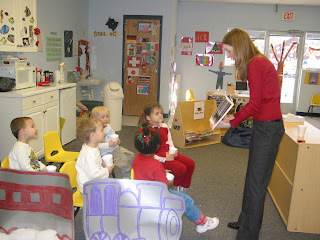 We had our last lesson for December this past week. Boy, did I over plan for this one! We were only able to do ONE of my two planned activities because it took so long. Good problem to have though. 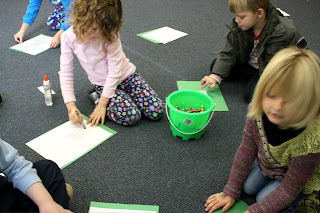 We had a lot of fun with the one activity we did. 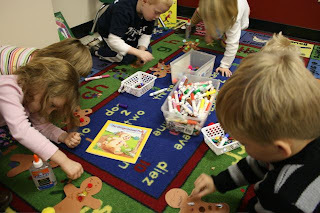 Our story was Christmas Counting, by Lynn Reiser. I'm not usually one for concept books when it comes to Literacy Launchpad lessons, but this book is one exception. 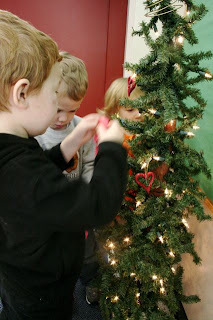 We counted while we decorated our tree... like the one in the book! (See above photo.) Well, the tree in the book grew and grew each year, and our tree stayed the same size. 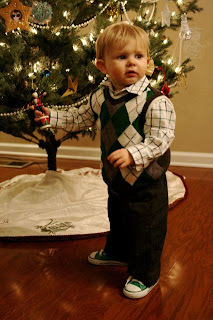 AND ours was a fake tree... So it wasn't just like the one in the book, I guess. :) But it was still cool. 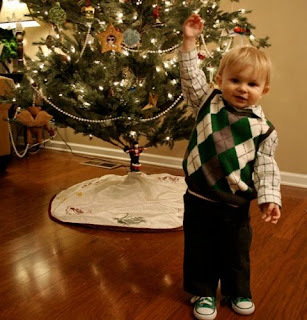 We counted ornaments as we adorned the tree with them. 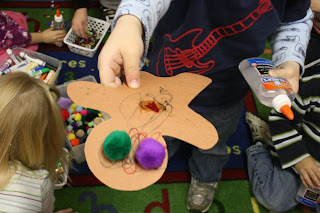 The students each had their favorite set of ornaments, and there was some bickering over who got to put what ornaments on the tree. I don't know why this activity took so long, but it did. Lots of chatting. That's a good thing! Oh, and we predicted again, of course! 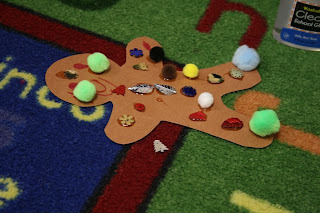 We predicted how the family would grow each year, and what they would put on their tree. 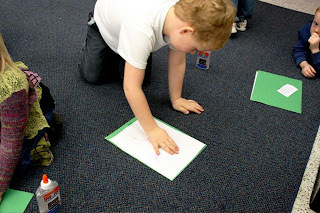 I was really happy to see the students using cues from the text and illustrations to guide their predictions. I'll be taking a blogging break till next week. 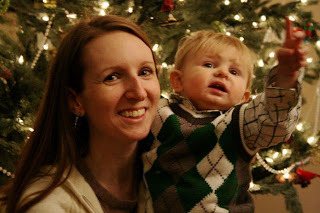 Till then, thought I would share a few Christmas photos of me and my Little Reader. 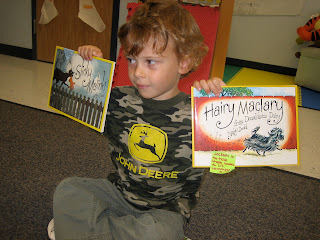 Last week (yes, you may have noticed I'm a week behind in posting about my lessons) we read If You Take A Mouse to the Movies (Laura Numeroff). Instead of having my students make their predictions at the beginning of the story, we saved it for the end. How can you predict after the story has already been read you wonder? Well, I kept the cover of the book concealed during our reading (had it wrapped up in craft paper - high school text book style!). 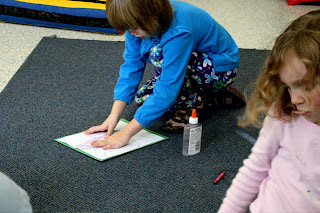 So upon completing the story, the students were then assigned the task of creating an illustration that predicted what they thought the cover of the book would (or should) look like. They also got to predict the title. There were some funny ones. Wish I had taken better photos. I know why I didn't though... Because I had CRAZY students in class last week! Yup, the Christmas crazies have possessed my students already. I'm bracing myself for more of it this week as well. Oh, sure. They look like they're calm and working hard. But I assure you... CRAZY! :) Seriously, I was exhausted after class last week. 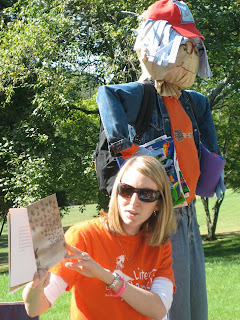 I still have some Literacy Launchpad tees that I would love to clear out of here. I have every size (small through 2XL), except for larges. They make awesome teacher gifts, librarian gifts, mommy gifts, book seller gifts, etc. Very unique! And your purchase goes toward helping to get our two children OUT of an orphanage in Ethiopia, and HOME with us; any t-shirt purchased will have a tag attached indicating such! Click HERE to buy one! I'm so sorry my beloved Literacy Launchpad hasn't been getting all the love from me it usually does lately. We are just SMACK dab in the middle of a literal scramble to try to get everything together to get our children home ASAP (homestudy, dossier prepping, fundraising). A momma's got to have her priorities straight, right? It won't always be like this, I promise. We're praying the new year will bring some quick closure to all of this crazy scrambling. Thank you for being patient with me. I love Literacy Launchpad. I love you all, and I want to spend more time with you! :) I WILL spend more time with you soon! 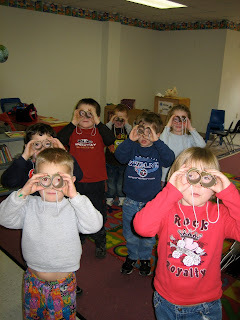 My students were so into the predicting stuff. 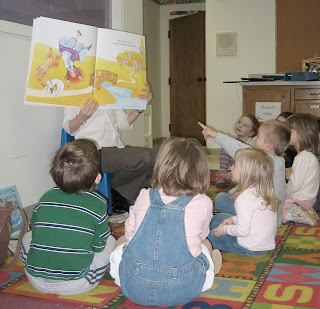 Each one of them insisted on taking a turn making a prediction before each story. And they would state their predictions like this, "My prediction is..." I loved that they were using a new vocab word, but I swear, I didn't tell them to phrase their predictions like that, though it was awfully cute! I think this unit's off to a jolly start! I'm really happy with the effort all my students put in last week. And we had so much predicting fun that both my group times ran over by about 15 minutes (thank goodness for understanding classroom teachers). 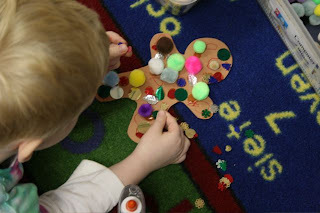 See below for a glimpse at our take home activity to help remind us of our gingerbread fun! I've been hinting for a couple weeks now at some big news I have to share with you all about our family's adoption. And here is is, finally. Since my husband, David and I began this journey of international adoption, the Lord has been teaching us and convicting us about what HIS desire is for our adoption... About the need there is out there... and about the ethics of adoption (which are rarely ever black and white). Our eyes are being opened to things we were naive about when beginning this adoption. But our prayer through much of this adoption has been for God to break our hearts for what breaks His, and He's been faithfully answering that prayer, and turning our world upside down in the process. The more we learn, and the further we get in this journey, the harder it has been for us to imagine sitting on any kind of an adoption waiting list (NOT because we're impatient). We have often looked at the faces of the older children on the Ethiopian "waiting children" list and felt God tug at our hearts as He's asked us some tough questions. We have been doing our best to follow God's lead during this whole adoption journey, and we feel that this is what he desires for our family - adopting two children from the "older child waiting list!" And we are thrilled that He's calling us to this! We had originally been planning to adopt two children between 0-4 yrs. of age. So this is a BIG shift for us, as you can probably imagine. We're still digesting it all ourselves. There are two particular siblings on the waiting list that have been tugging strongly at our hearts. But we are awaiting some important information from our agency still (and praying lots) before we make any official commitments concerning specific children. We are SO anxious to get this info. You have no idea! It's seriously ALL we want for Christmas! Adopting off the waiting list brings some additional anxiety, because once we commit, we face deadlines concerning our dossier and fees. But we know that God is in control of all this too. And let me make it clear that though we are indeed thrilled at this change of direction concerning our adoption, we are probably equally as SCARED! It's just a whole different ball of wax than what we were planning for previously. But all these new changes just require a deeper trust and dependence on God, and draw us closer to Him. And what a blessing that is! And can I just say, how much I LOVE MY HUSBAND! He's such a great MAN! It's not every husband that would get excited about adopting from Ethiopia. It's not every husband that would suggest adopting two children from Ethiopia. 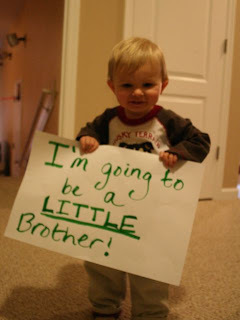 And it's certainly not every husband that would be as excited as mine about adopting two older children from Ethiopia. (Plus, he's hunky!) There is nobody else I would want right by my side on this crazy journey, but him. How did I get so lucky? Thank you for continuing to pray for us. We need those prayers! We feel 'em! They keep us going! Read more about our adoption journey here!